An integral member of the team since 2006, Nitsa Knoll orchestrates all aspects of Jordan’s themed parties, dinners, and lunches, as well as oversees guest lodging and the hospitality staff. She’s also a talented floral designer. Born in Los Angeles, Knoll is one of eight children and the daughter of a Greek marble importer and former chef. Growing up Greek, there were lots of big family gatherings. She began creating guest lists, menus and floral bouquets for the Prousalis family events by the age of seven. Her love of entertaining and cooking led her to the California Culinary Academy in San Francisco, where she graduated in 1999. It was during her work as an event coordinator at the academy that she discovered her love for “front of the house” hospitality and guest services, following an adventurous internship with one of Barcelona’s finest catering companies. After gaining valuable experience about European hospitality standards in Spain, Knoll returned to the United States to join the culinary staff at the renowned Ritz-Carlton San Francisco. There, serendipity intervened, and she began working with a fellow California Culinary Academy graduate, Todd Knoll. The young couple shared a passion for both cooking and entertaining and soon fell in love. She reluctantly left “the city” for Healdsburg in 2003 when Todd accepted a position at Jordan Winery as sous chef. 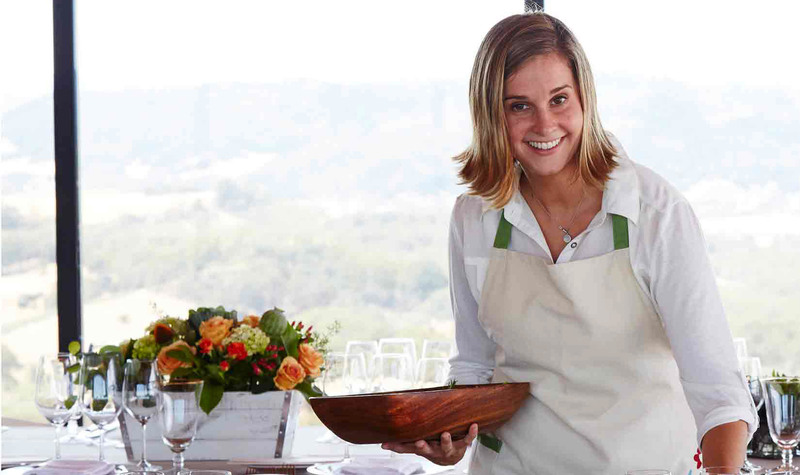 While developing her catering company in wine country, Sonoma Culinaire, she continued to enjoy the rare opportunities where she and Todd could cook and host events together as they did during their Ritz-Carlton days by volunteering at Jordan special events. CEO John Jordan quickly took notice of her penchant for perfection and integrity to her craft. Not long after she and Todd were married on a small farm near Jordan Estate, John Jordan offered her a position which would fully utilize her many talents and endless drive. She has never looked back. The couple resides in the nearby town of Windsor with their dog, Skilos, and son, Petros.